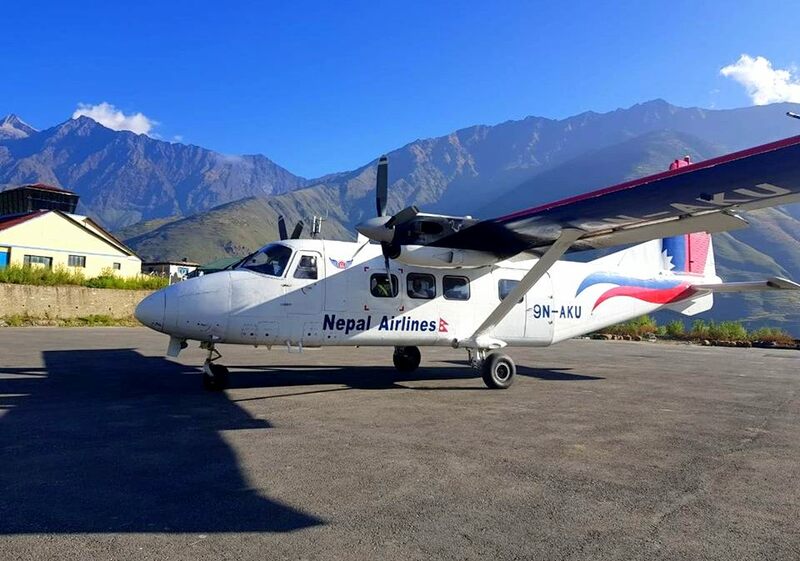 Nepal Airlines Corporation (NAC) on Wednesday successfully conducted test landings of its Chinese-made Harbin Y12e aircraft to Simikot, Dolpa, Talcha and Jumla Airport, five years after it was inducted into its fleet. The successful test flight was conducted under command of Capt. Noori Sherpa and Capt. Udhab Ghimire. Other members on board were Vishal Paudel, Prashanna Rana, Raj Rauniyar, Mahesh Raj Pandey and Prashant Oli and also representatives from CAAN Binaya Giri. The NAC official had vowed to deploy all the aircrafts for commercial operation for the upcoming main festival, Dashain. Only one of the four Harbin Y-12E aircraft is operational currently in the fleet of Nepal Airlines to operate in STOL airfields. The performance of the test landings of the aircraft will be checked with the performance of the aircraft in line with the aircraft’s flight performance manual issued by the manufacturer, an expert at the Civil Aviation Authority of Nepal CAAN quoted. “The details provided by the NAC will be minutely assessed and calculated before allowing it to begin commercial operation,” he said, adding that it would take a few days to produce the detailed reports on the aircraft’s performance. Nepal Airlines also plans to extend its service to other STOL destinations with its fleet of four Y-12E aircrafts. After the successful test flight in Lukla, the officials were very positive on conducting subsequent test flights to Simikit, Dolpa, Rara and Jumla.